When you have been injured in a serious auto accident or premises liability incident in Texas, you may be thinking about filing a personal injury lawsuit. Accidents and injuries are especially devastating when they result from another party’s reckless or careless behavior, such as a distracted driver or an inattentive business owner who failed to fix a dangerous condition. When you cannot return to work because of the severity of your injuries, and you do not have money to pay for your medical bills, a personal injury claim may be able to provide you with financial compensation for the harms and losses you sustained. Choosing a Texas personal injury attorney can be a complicated process, especially when you have never filed a personal injury claim before. It can also be confusing when a personal injury attorney says that they do not want to take your case. Before you begin meeting with any personal injury attorneys in Texas about your case, it is important to learn more about some of the reasons that a lawyer will decide not to take your case, and how to use that information to prepare for your initial consultations. Below we have the top five reasons why a personal injury lawyer typically will not take a case. Under Texas law, personal injury claims have what is known as a statute of limitations. The statute of limitations is a legal term that refers to the amount of time you have to file your claim. For most injury lawsuits, the statute of limitations begins “running” from the date of the accident or incident that caused your injuries. There are some ways to put a hold on the statute of limitations, or to “toll” the statute, but this can only happen in certain circumstances. For most personal injury claims in Texas, the statute of limitations is two years. As such, you must file your claim within two years from the date of the injury, or else the law bars you from filing a lawsuit. Depending upon the type of personal injury claim you want to file, you will need to learn about the statute of limitations and ensure that you get your claim filed within that period of time. This also means you need to hire an attorney well in advance of the statute of limitations period running out. If you wait too long to consider filing and meet with a personal injury attorney at a late stage, that lawyer may tell you that the statute of limitations has already run and that there is no point in attempting to file a lawsuit. For a personal injury attorney to take your case, that lawyer will need to recognize that there is sufficient evidence that you stand a good chance of winning your lawsuit or being able to settle for a reasonable amount of money. You can help to ensure that your attorney has evidence to work with after a car accident or another personal injury case by collecting as much evidence as you can. When you meet with a lawyer, you should bring records of medical visits with you, as well as any documentation you collected from the scene of the accident. The more evidence you have, the better the likelihood that your lawyer can build a strong personal injury case. Many personal injury attorneys take lawsuits on what is known as a “contingency basis.” This means that the lawyer does not get paid unless you are able to obtain compensation through a settlement or a damages award after a trial. If a personal injury attorney does not think your case is likely to result in a significant settlement or damages award, it may not be worth it to take the case. For example, if your case is only likely to bring about $1,000, it may not be worth the personal injury lawyer’s time to spend hours working on the case. Sometimes personal injury lawyers realize that potential plaintiffs are doing too much “shopping around” for a lawyer. While you should always speak with or meet with a lawyer before you hire them to represent you, meeting with too many lawyers can suggest that you are simply looking to find the attorney who suggests that you are eligible for the biggest payout. In most cases, if one lawyer suggests that your case is worth significantly more than any of the other attorneys with whom you have met, it is possible that the lawyer is not being entirely honest with you. Texas law recognizes comparative fault or comparative negligence, which the statute defines as “proportionate responsibility.” The law makes clear that a claimant cannot recover damages if their percentage of responsibility is greater than 50 percent. For instance, if you were speeding or ran a red light when another car hit you, a jury could decide that you were 60 percent to blame for the accident and, in that case, you would be barred from recovering any damages. Given that Texas law has a 51 percent bar when it comes to comparative negligence, if a personal injury lawyer believes that you were more than 50 percent responsible for the accident that caused your injuries, that lawyer may decline to take your case, recognizing that you are unlikely to recover anything if you file a personal injury lawsuit. When you see advertisements for personal injury lawyers promising settlements in the six and seven figures and beyond, you are seeing cherry-picked examples meant to connect with you emotionally. Many personal injury victims are entitled to recover far less than this. When your lawyer estimates what your case is worth, you should have him or her explain the evaluation to you. If you just started treating and the extent of your injuries are not fully known, then it will be difficult for any lawyer to accurately tell you what your case is worth. You can create problems and arguments for the other side that could have been avoided. If you don’t understand your lawyer’s advice or you disagree with it, speak to the lawyer about your concerns. We typically find that once a client understands the reason behind the advice, he or she will make sure to follow the advice. 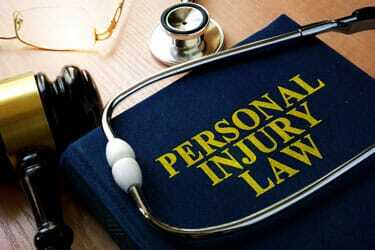 Do you have questions about filing a personal injury lawsuit? An experienced Texas personal injury lawyer can assess your case today and can discuss your options for seeking compensation. Contact Sutliff & Stout for more information.